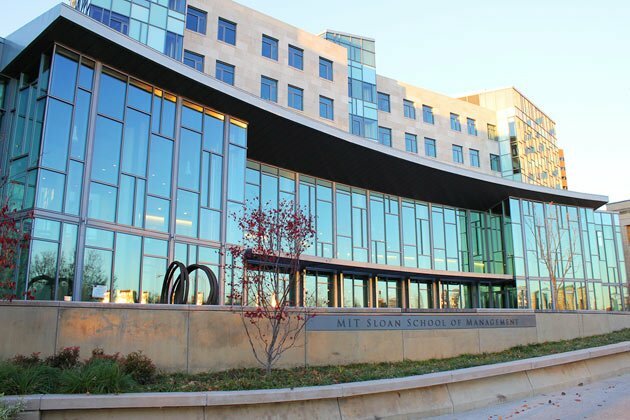 The Massachusetts Institute of Technology (MIT) Sloan School of Management conducts leading research and provides management education to the top students from over 60 countries. MIT holds a firm tradition of education and research, and it’s MBA program is the largest program at the university and one of the most selective in the world, ranked number one in more subjects than any other MBA program. The business school places a great deal of emphasis on invention, innovation, and technology. MIT is responsible for creating world-renowned theories in finance, including models like the Black–Scholes model, the binomial options pricing model, the Modigliani–Miller theorem, the neoclassical growth model, the random walk hypothesis, Theory X and Theory Y, and the field of System Dynamics. Also, many MIT alumni have founded notable international corporations such as Kodak, Hewlett-Packard, Texas Instruments, Intel, Polaroid, Campbell Soup, Gillette, and Zipcar. The mission of the school is to “develop principled, innovative leaders who improve the world and to generate ideas that advance management practice”. To achieve this, programs are collaborated across MIT’s campus and only the best faculty are hired to create an adventurous and cooperative learning environment. MIT has an infrastructure that supports innovation. They offer an extensive five-library network with five smaller, specialized libraries and a highly advanced computing environment and high-speed wireless network. Their signature building and pinnacle of their management school, E62, was designed specifically for management education. MIT also has a rich array of international initiatives to deliver business knowledge about the global marketplace to organizations and people. MIT Sloan is committed to establishing business practices that will contribute to the global economy and help better the future of global business. The Full-time MBA Program is a compilation of Action Learning Lab classes, case studies with live case discussions, collaborative projects, classes taught by exceptional faculty, and chances to interact with industry leaders. The curriculum is diverse, specialized, and action-oriented and provides students with innovative, hands-on, real-world applications in the classroom. The programs curriculum is based upon Action Learning – “directly applying academic concepts to real-world business challenges” – MIT. In-depth case studies, lectures that link historical context with contemporary issues, live team projects, and reflection opportunities make up the remainder of the program. In the first semester, students are split up into teams of 6-7 in a larger group of 68 students who remain together for the remainder of the year. During the first semester, the areas of economics, accounting, managerial communication, business statistics, and organizational processes are covered. The next period is the Sloan Innovation Period (SIP), a program allowing students to explore ideas outside of the classroom. At the mid-point of this period, students get one intensive week of experiential leadership learning and exposure to groundbreaking faculty work. The focus of SIP is ethics and leadership, and it also is more flexible allowing students to pick electives in other areas of interest. The summer is reserved for Action Learning programs. An Independent Activities Period in January is offered to students who want to broaden their educational horizons and explore personal interests. It consists of how-to-sessions, forums, lecture series, films, recitals, treks, and tours. Hundreds of different topics are offered. Leading in a Global Context: Macroeconomics, global markets, national policies, and internal strategy are covered. Students learn how companies take advantage of global opportunities in different countries, institutions, as well as big-picture world economics. Leading Complex Organizations: This is the capstone module and allows students to organize and plan their next organizational initiative. The module features guest speakers with a focus in the general manager role. Classes occur every three weeks on Fridays and Saturdays, and a one-week module is offered every six months. A week long international project trip is included so executives can practice their newly learned skills in a live global environment. Classes begin in mid-October. There is also an Advanced Certification Programme for senior executives that last five weeks long.